So many great recipes! I'm going to have to remember this for later :) you are such a rock star! 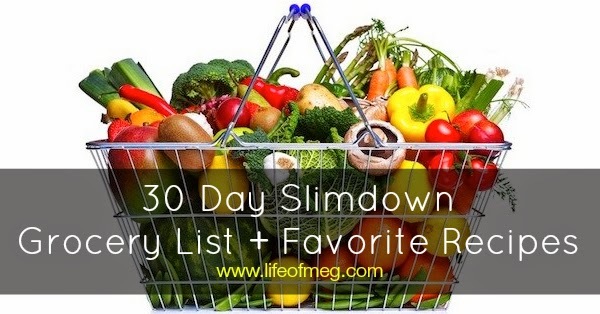 This is a great list and is definitely very helpful, thank you for sharing! Oh good, I am so glad it's helpful for you! Thanks for the look inside your shopping cart! I feel like diversity of foods is key to not losing steam and you definitely have that. Go Meg, Go! Good for you guys! Love the shopping list. I think that's the hardest part about knowing what to eat is what to buy! Good luck. Look forward to hearing how it's going. Have a great day.